Spain-based label converter Mirmar has invested in Mark Andy’s Performance Series machines, adding to its fleet of flexo presses. Mirmar now has three Mark Andy P5 presses and two P7s, all with 438mm web width. The Spanish firm installed its first Mark Andy10” four-colour water-based 4120 press when it was e in 1987. 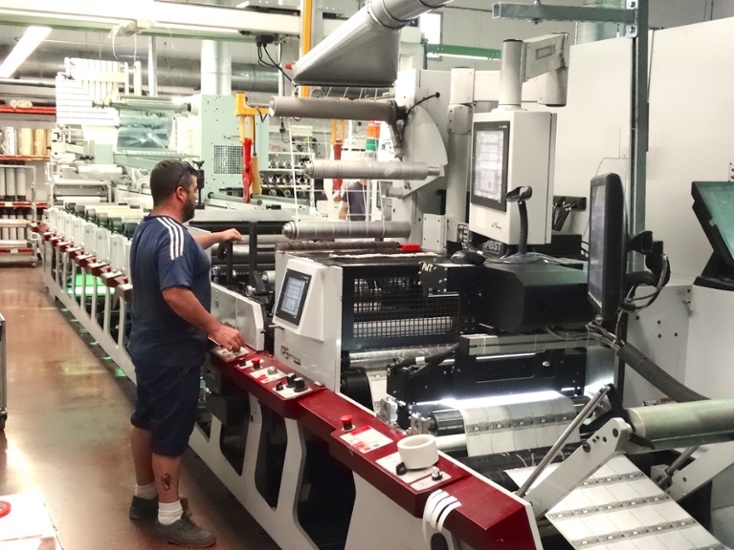 Mirmar invested in 11 Mark Andy presses, with a total of over 80 print units. All the flexo presses can be fitted for a range of corona treaters, web turn bars, delam/relam, cold foil, screen print units, QCDC, and AVT 100% inspection. The latest batch of eight-colour Performance Series presses started to be installed in 2013 when the P5 that was exhibited on Mark Andy's Labelexpo stand in Brussels, Belgium. It was delivered to the plant near Valencia, Spain, following the expo’s completion. Mirmar stated that the capability of the P-Series allows expanding its business in the sectors of homecare and cosmetics, wine industry and others thereby producing profitable margins. This helps in shifting the company’s substrate base from self-adhesive papers and thermals to PP and PE. Mirmar CEO Jaime Mir Pastor said that the P-series presses have a facility of swapping jobs from one machine to another machine. This facility allows the company to deliver same day service with a significant faster ROI. With the increased productivity rate, Mirmar is delivering its services to the domestic Spanish market, with exports to Portugal, Malta, and Morocco. As it is planning to expand its customer portfolio, the label converter company is working to secure BRC accreditation which holds FSC and ISO 9001:2008. Image: Mark Andy’s P- Series press. Photo: Courtesy of © 2017 Mark Andy.